Touchdown! 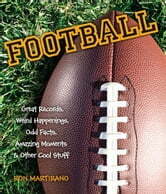 These tales from the gridiron will set fans abuzz. 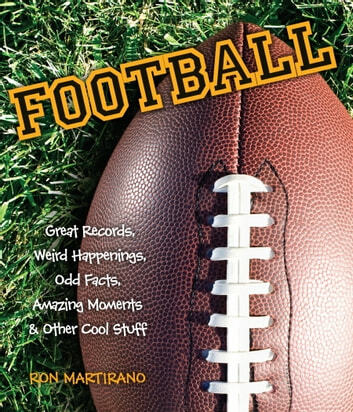 Fun, filled with intriguing lore from football history, and engagingly written, they're almost as exciting as the Super Bowl itself. Find out all about the pranksters and one-of-a-kind characters of the game, including Clinton Portis, who liked to wear costumes to his team's weekly press conferences (including a mad scientist wig). Speaking of costumes, hazing the rookies is an integral part of the sport. Just ask Lavelle Hawkins and Cary Williams. They were tied to a goalpost and doused with water, mustard, and ketchup. You'll read about the strange injuries, including Turk Edwards' career-ending injury during the coin toss. You'll cringe reading about how San Francisco 49er Ronnie Lott gave 110%--and his pinky--all for the love of the sport. And you'll bust out laughing when you find out why coach Don Shula once took a shower with an alligator.